Looking for the Fortnite highest elevations to visit? The Fortnite week 6 challenges for season 8 are full of difficult mysteries to solve, and one of the trickiest of the lot is the challenge that asks you to visit the 5 highest elevations on the island. While the battle royale map has changed a lot over the game’s lifetime, one thing has always remained true: there are a lot of mountains dotted across the landscape, which makes figuring out the highest summits a little awkward. 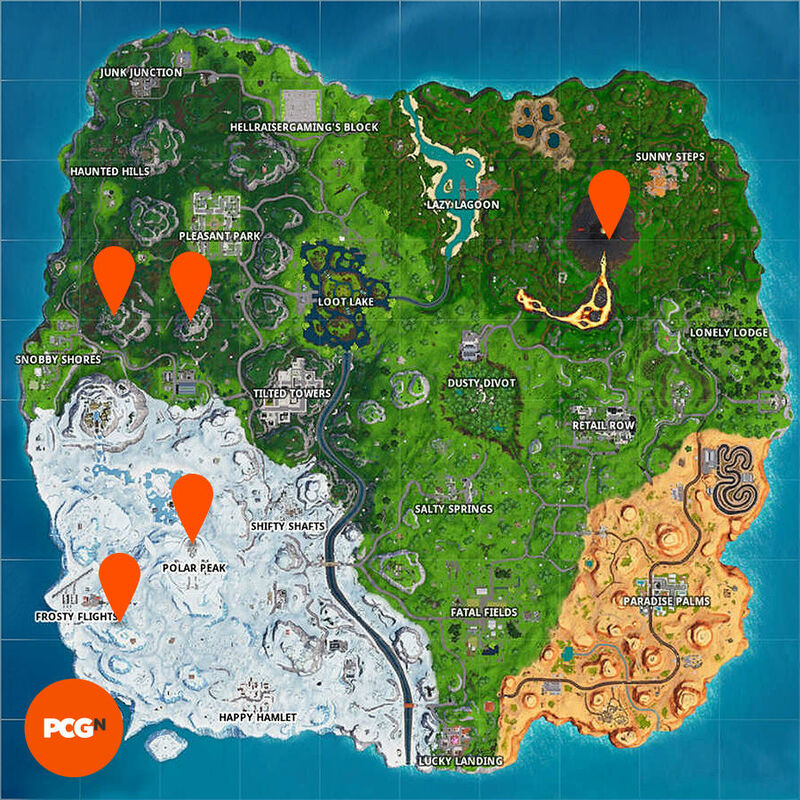 Not to worry though, we’ve dropped into the battle royale island enough times to know where the 5 highest Fortnite elevations are, and below you’ll find a handy map and screenshots of the exact spots you’ll need to visit. How do you know for sure that you’re at one of the five highest elevations in Fortnite? 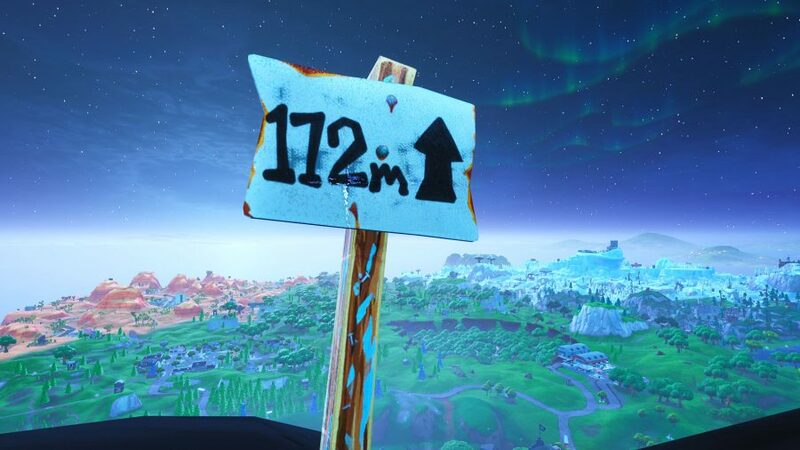 When you’ve reached your destination you’ll be able to spy a small sign with the height of the summit on it – simply get close enough to the sign and you’ll be one step closer to receiving a heap of Battle Pass progress. Take a look at the map below to see all five summits marked for you. In our experience, getting to the top of Polar Peak and the volcano was a little tricky as both are popular spots for players. The other mountains were a lot easier to reach, just be sure to bring plenty of materials so you can build your way up to their respective summits. And there you have it, our guide to ticking off yet another Fortnite challenge. Now you should hopefully be a few battle stars richer and on your way to some shiny new cosmetics.